Home » What Type Of Office Chair Do I Need? Whether you’re needing an office chair for home, or looking for your business, with so much choice available, choosing the perfect chair to meet your needs and budget can be a challenge. So what office chair do I need? Well, we’ve answered some of your burning questions so when the time comes to buy your new office chair you’re all clued up and know what you need. What different office chairs are there? 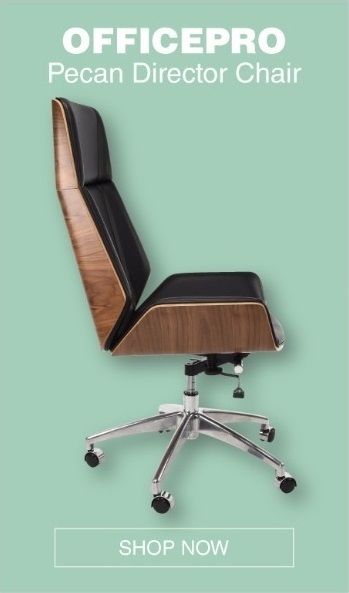 Office chairs have come a long way from standard swivel chairs. There's now posture chairs and executive leather chairs for maximum comfort which are a great investment for you and your business. Task chairs are also known as operator or computer chairs and are probably the first thing that comes to mind when you think about an office chair. Standard task chair features include swivel castors and gas lift for adjusting the height to fit your needs. However, more advanced task chair models includes features such as adjustable armrests, headrests, adjustable backs, lumbar support and an ergonomically designed seat pad. Task chairs are suitable for both home and business available in wide range of materials, from plastic chairs with padded foam seats, through to fabric, mesh and leather finishes. These chairs are designed for operators spending a lot of time in front of a computer. Task chairs will provide good all-day comfort for most users as long as you choose high quality and ergonomic designs. Executive chairs are large, more stylish and offer more comfort than most task chairs due to their elongated shape and padding. 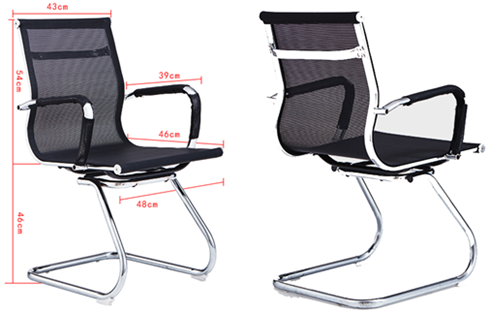 Generally, executive chairs offer height adjustability, but don’t come with fully adjustable backs which means they are unsuitable for people who need to work at a computer for long periods of time. These chairs are designed to look a bit different with their simple, elegant style available in a range of colours and materials to suit any environment. One downside to these office chairs is that comfort does sometimes suffer due to often being manufactured from hard materials like plastic, mesh, chrome and leather so they don’t have the same levels of padding, support or adjustability as other office chairs. They can be very much about the looks over the function. These chairs are suitable for short working sessions, but generally won’t be comfortable or supportive enough for all day use. They are ideal for communal areas like meeting rooms and breakout areas enhancing your current workspace. What are the benefits of buying an ergonomic office chair? Increased Productivity - Sitting in an uncomfortable chair can cause you nagging back pain constantly moving to find a comfortable position to sit in can affect your concentration and make your mind wonder. An ergonomic office chair that molds to your body will make you feel more relaxed and focus on the work in hand instead of your uncomfortable chair. Improve Posture and Back Pain - Slouching over your office desk for 8 hours a day will affect your posture and you'll soon start to resemble the Hunchback of Notredame! Sitting in a slouched position for long periods of time puts a lot of tension on the muscles and ligaments in the back which results in serious back pain. Having a good office chair will allow your body to the adjust to the ergonomic shape. Office chairs are designed to offer the necessary back support and can adjust to every size and body type. Reduce Health Risks - In recent articles we mentioned how sitting is as bad for you as smoking and that it has similar dangerous effects on our bodies. A bad sitting position affects the blood circulation in the body which can cause blood clots. Investing in a good chair means reducing the pressure on your muscles from sitting down which will allow the blood to flow through the body without any obstructions. Come to Officepro.my and you’ll find a variety of different office chairs to meet your needs. All our office chairs manufactured here in the Malaysia from top quality materials, to our exacting standards. Buy from OfficePro Malaysia, and you’ll benefit from free delivery, honest advice and a 1 year warranty on most of our products. For further information on any of our products or services, call a friendly member of our experienced sales on 012-213 8976, or email inpro63@gmail.com today.